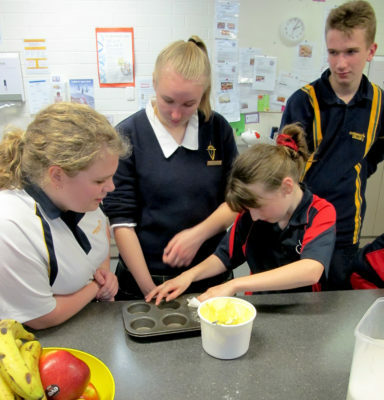 During Term 2, two keen and dedicated teams of Year 9 students visited Lutheran Community Care (LCC) at Ingle Farm Primary School on Tuesday afternoons. 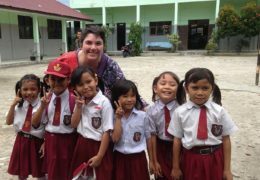 During this time, they worked with students from the school on a variety of activities. The activities that are offered are coordinated and organised by the staff and volunteers at LCC. These vary on a weekly basis but often include a cooking and/or craft component. Students from both schools work in collaboration to complete these tasks. It is a valuable learning experience for everyone involved and our students have become aware of the difficulties that others may face in their everyday lives. One of the most satisfying things about this project is the knowledge that students are learning about other people and becoming more understanding of others outside of their usual circle of experience. At the same time, they are helping others and learning about what it is to be involved with an organisation and how they might contribute as volunteers or agency employees in the future. Students from both schools can build relationships with one another and have positive outcomes. 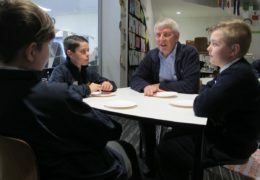 Staff and volunteers at the centre also interact with the students from both schools and are very much appreciative of the role that Endeavour students take in this program. In Term 3 we are hoping to continue the program, and senior students will have the opportunity to take part.